If you’re an experienced renovator, you know that the more you do yourself, the more you save. And with the latest generation of flat pack kitchens, you need not settle for a generic look and basic finishes. 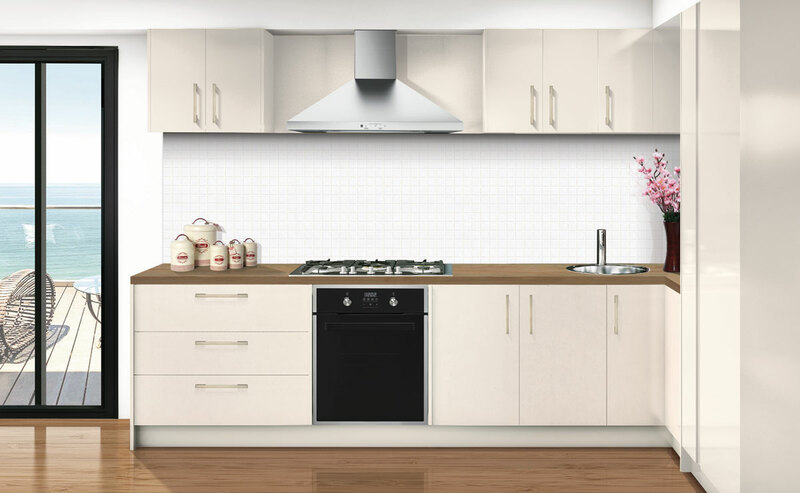 With the new Xpress flat pack range from Kinsman Kitchens, it’s possible to save on the cost of your kitchen, without sacrificing style or quality. Here are a few simple ways you can tailor your flat pack to suit your style with Xpress. Xpress offers more than your average flat pack range when it comes to cabinetry door options. All doors and drawers come with soft-close features and quality poly finishes as standard (something you don’t find in most flat pack products). Another big plus is that they come “ready-to-assemble”, which means that the dowel hills are pre-drilled, saving you time on labour. But it’s in the style department where you can really have some fun, recreating the look of an on-trend designer kitchen. Choose from a selection of some of the most popular door styles including shaker-style for a Hamptons look, sleek gloss for a contemporary statement, or framed glass doors on your upper run for something more classic. Handles on kitchen cabinetry are more than just functional – they can be like jewellery, adding a little bling to your kitchen and complementing your surrounding décor. Whether you choose antique knobs or sleek chrome or brushed steel bars, the Xpress range offers a selection to suit your cabinets and your overall kitchen style. However if you fall in love with handles you find elsewhere, you also have the option to use those for a truly personalised look. For example, you may want your handles to tie in with other elements in your kitchen, such as the colour of the sink and taps, or appliances. When it comes to benchtops, Xpress has you covered with quality laminate options that are durable, affordable, and also beautiful. 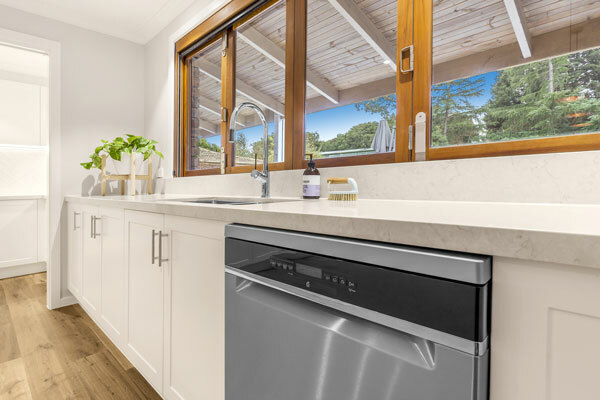 Many people are surprised at how good the newest laminate benchtop surfaces actually look in person, mimicking natural stone and marble, to on-trend timber. And if you have some budget leftover (from all of those savings! ), you can always elevate your kitchen to luxe level by putting in a stone benchtop, like stunning Silestone. Your splashback surface is another area where you can tailor the look of your flat pack kitchen. 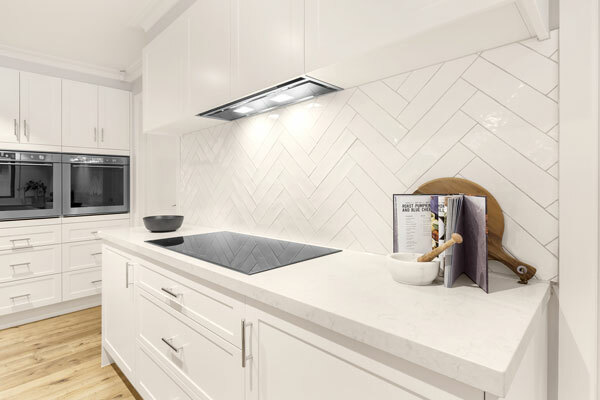 While splashbacks aren’t included within the Xpress cabinetry range, your design consultant can help guide you on the best option for your style and budget – whether you’re inclined towards tiles, glass, or the glamour of a stone surface.